I've previously reviewed Lavera's Macadamia Passion Body Butter (click here to read) and today's post follows on from that with a look at Lavera Macadamia Passion Cream Oil Body Wash.
Lavera has strong eco credentials which appeal to me & I feel that these are reflected in the packaging. It's admittedly not the most exciting design but I appreciated the functionality of the tube packaging. 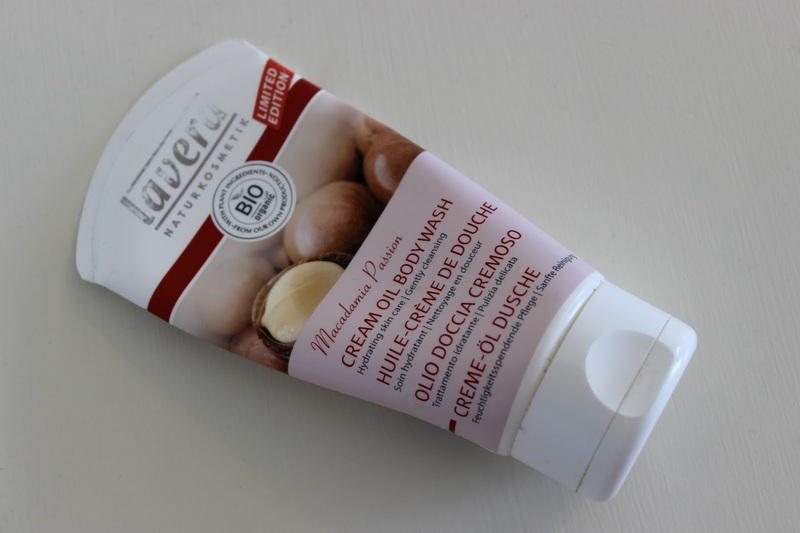 Lavera Macadamia Passion Cream Oil Body Wash has a gel cream texture. I struggled to work it into a lather but a bath puff would likely help with this. Based on the name, I expected Lavera Macadamia Passion Cream Oil Body Wash to have either a floral or comforting nutty scent but I was unable to detect either of those notes. Instead, it has a tart milky scent which reminded me of yoghurt. It's delicate and not unpleasant but those who don't like it can be reassured by the fact that the scent doesn't linger on skin following use. At £7.45 for 150ml, I feel that Lavera Macadamia Passion Cream Oil Body Wash is a couple of Pounds overpriced but otherwise, it's a pleasant body wash which is well suited to fans of natural products.